Throughout history there has never been an easier or better time to start your own business then there is today. With the development and growth of social media everyone is connected together regardless of their income status or geography. Whether you’re rich or poor you now have the ability to share your skills and connect with people all over the world for free. If you are a young person, this is the best time to start your own online business, and I will list out the simple reasons for you. You may have seen hundreds of young people being accused of doing yahoo, but most of them are just online business people making so much money from the internet. If you are still reluctant to join them, I will help you out by giving you some reasons to join them. As I stated earlier, many small businesses have started building their empire with nothing more than a domain name and a hosting service to house their website. With a simple method I discovered after several trials and errors, I have found a way that won't allow you waste your time designing a website and getting a domain name. 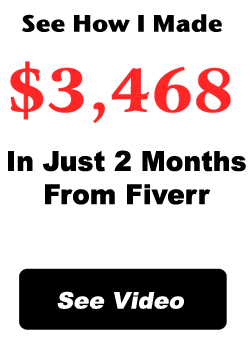 Some of the methods I use are via Clickbank and Commission Junction. This has given me the leverage to make money for myself and pay my bills. It has been fun all the way, and several students I mentored are already making good money for themselves. This is because it doesn't take much to start the business. All it needs is just your Phone and Data for browsing. Instead of wasting it on gossip sites, why can you invest it and make money like I explained here. If I can do it, then you can also do it. 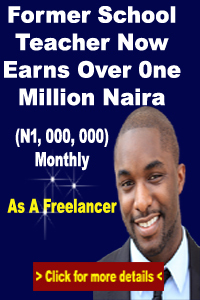 I will mentor you till you find your feet and start making money. You can choose what time of the day you want to work, how many hours you want to work and what days of the week you want to work as long as you set your business in an efficient way. This doesn’t mean that you can simply relax all of the time, but you have more choices in choosing when to focus on being productive whether it’s Monday – Friday or just the weekends, and whether it’s early in the morning, late at night or in the middle of the day. You aren’t limited to an hourly wage because your income is often determined by how productive you are with your time, not the number of hours you work. In an online business your income isn’t determined by the number of hours you work but the level of productivity you can produce during the hours you work. By spending your time on marketing and income producing activities you can significantly reduce the number of hours you have to work in order to bring in a sustainable income. In an online business, you aren’t tied down to a desk or a single location. As long as you have an internet connection and a laptop you can run your business from anywhere in the world like I explained here. Whether you want to visit your family in another state or take a trip somewhere exotic your business will always be with you. As you can see starting an online business can be extremely fun and liberating. But it only depends on your choice. Time is now, and time is money. Be wise and start now!!! I am putting this post on my new website because I find it very useful. I have referenced you as source. I hope thats fine. If you have issues with this, please advice so I take it down immediately.